What physical characteristics do you notice about the various turtles that you observe? Describe the different ways that turtles move; how do they use their body parts to help them? Compare and contrast the shells you see in the various species; how do they help each type of turtle to survive? Turtles are vertebrates that have been in existence for nearly 230 million years. They can be found on every continent except Antarctica. Some biologists estimate that there are approximately 245 turtle species. They live in a wide variety of habitats including lakes, rivers, and swamps, oceans and land environments. They come in a wide range of colors, shapes, and sizes. Their varying body designs allow them to traverse either dry rocky terrains, or zip through fast currents in the ocean, or lurk among the sea grass beds of brackish areas. As you are learning about turtles, you will have an opportunity to help them by taking what you have learned and helping to educate others about the importance of preservation for the survival of these amazing creatures. 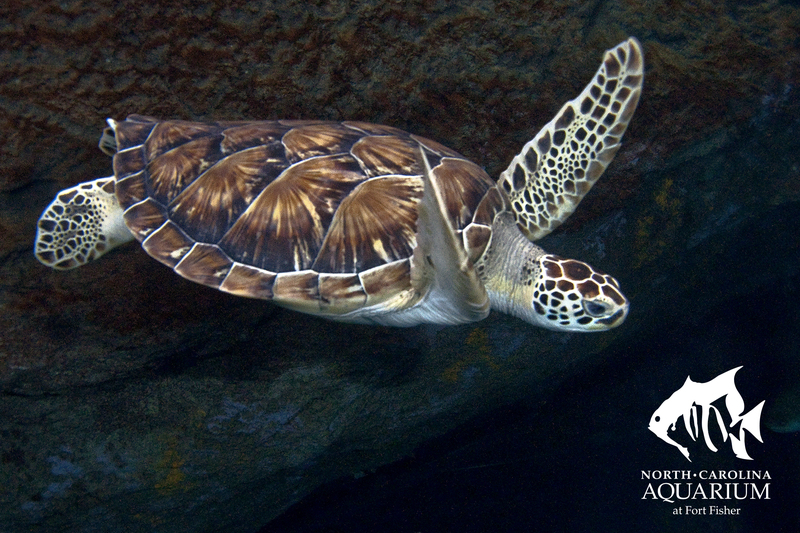 Often, turtles are ignored or taken for granted; many people do not realize that they are a threatened animal. Many view turtles as slow, bulky, and unlikely to survive. You now know that turtles are not only built to survive, they are built to thrive. Whether turtles that live on the land, in the sea, or in quiet gentle freshwater ponds, their bodies range in size, shape, color... all contributing to enhancing their success in their particular habitat. Observing turtles in their natural habitat is an exciting opportunity. Next time you get to watch one in action, look for the characteristics that you have learned about in your study of turtles! You have just finished learning about turtles. You have been hired by an aquatic research group to be in charge of teaching the public about sea turtle nesting and the importance of preserving and protecting their habitat. How would you go about doing this in a way that would reach as many people as possible? What are the most important points that you would stress? What facts can you include? artificial lighting - Light produced by human sources, such as street lights, lights on buildings, and car lights. beak - The hard covering of the jaws, in turtles consisting of a single plate over each jaw surface. brackish - Slightly salty, as is the mixture of river water and seawater that occurs at a river's mouth or in a salt marsh. carapace - The top portion of a turtle's shell. carnivore - An organism that primarily eats other animals. clutch - A group of eggs laid at the same time by a single female. dehydrate - Lose a large amount of water from the body. ectotherm - An animal whose body temperature varies in accordance with the temperature of its surroundings (cold-blooded). encroachment - Intruding on, as in humans moving into areas that had been habitat for animals. endangered - At high risk of extinction. flippers - The limbs of sea turtles are referred to as flippers, fore (front) and rear (back) flippers. habitat degradation - Loss of usable living area for animals or plants due to human activity. hatchling - The stage of life that includes the first several weeks after the turtle leaves its egg, makes its way to the surface, emerges from the sand and crawls to the sea, and begins to swim out into the ocean. herbivore - An animal that eats mainly plants or parts of plants. hydrodynamic - Having a shape that is easily moved through water. incubation - The time it takes eggs to develop and be ready to hatch. invertebrate - An animal with no backbone. marine - Relating to the sea. metabolism - The chemical processes that occur within a living organism in order to maintain life. plastron - The bottom portion of a turtle's shell. predator - Any animal that hunts and eats other organisms. reproduction - The act of producing offspring. scale - The small overlapping plates protecting the skin of fish and reptiles, including turtles. scute - A horny plate that is part of the shell of a turtle. sever - To separate suddenly. sexual maturity - Fully developed, adult, old enough to breed. siltation - The pollution of water by fine particles of silt or clay, often caused by erosion. terrestrial - Relating to land. thermoregulation - The control of body temperature. traverse - Travel across or through. vertebrate - An animal (including amphibians, birds, fish, mammals and reptiles) with a backbone. (Science, Technology) Learn about the physical and behavioral adaptations that North Carolina reptile species possess. (Science, Art) Learn about the reptilian characteristics of sea turtles by creating a sea turtle, highlighting the characteristics of reptiles, such as a backbone and lungs. (Science, Art) Brainstorm ways to help sea turtles and write promises on the shells of paper turtle hatchlings, which are then put in a paper nest. (Science, Math) Learn about sea turtle life cycles by labeling pictures of the different stages and putting them in order on a circle, to illustrate the cyclical nature of life. Compare the life cycle of a human to that of a sea turtle. (Science, Art) Learn about sea turtle food chains by building a sea turtle and then placing it in a food chain with phytoplankton, zooplankton, small fish and jellyfish. (Science, Social Studies) Learn about sea turtle eating habits by investigating the contents of a “sea turtle stomach”. Students will discuss items sea turtles eat that are good for them and items that are bad for them (such as plastic), and how we can prevent sea turtles from having access to trash items. Here are some projects that can be used after the students have completed the online assignment or as a complement to your lesson. The students can use any media deemed appropriate for the project. Take a hike through a local park, playground, beach, forest, etc. Look for turtles and sketch them and write down your observations. Visit the local aquarium (such as one of the North Carolina Aquariums) or zoo. Locate and observe the turtles. Keep a jounal of each type of turtle that you see; sketch and record details. Visit an online aqarium such as Monterey Bay:http://www.montereybayaquarium.org/animals-and-experiences/live-web-cams/open-sea-cam, South Padre Island: http://www.seaturtleinc.org/sea-turtles-live/, Florida Keys:http://www.fla-keys.com/turtlecam/, or Galveston: http://www.galveston.com/turtlecam/. Observe the turtles and also note any other organisms that appear to coexist with the turtles. Write down your observations and discuss them in a small group. Find out more about a sea turtle rescue program such as South Carolina's program:http://www.scaquarium.org/strp/ or the North Carolina Sea Turtle Program:http://www.seaturtle.org/groups/ncwrc/. Learn more about what you can do and why it is important to conserve the beach environment and preserve the ecosystem for enhanced sea turtle survival. Create a brochure that educates other students about sea turtles and why it is important to help to protect them. 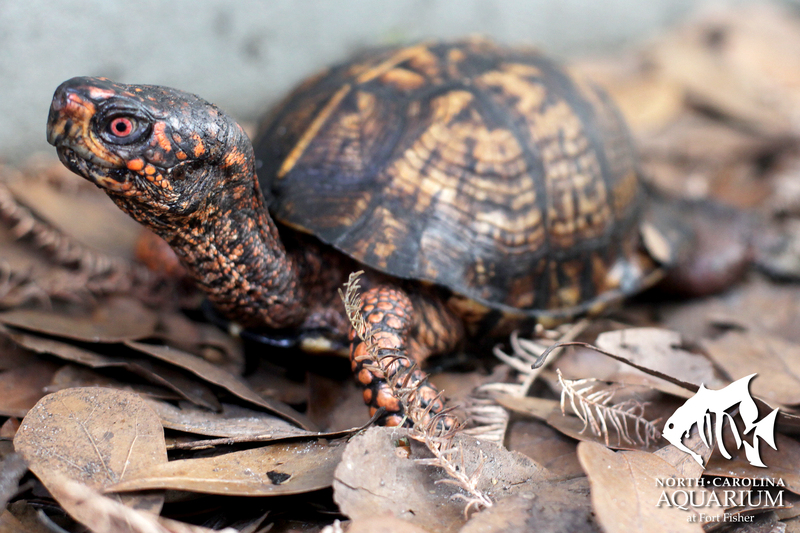 Choose a turtle species that is endemic (native) to your region. As a class, research this turtle. Visit a local zoo or aquarium or even pet shop that can give you a close-up opportunity to observe this turtle. As a whole class, collect and organize the research and observations and create a class video that teaches others about this species. Make sure to include information about conservation and preservation. Present the video to other classrooms and if possible, upload to the school or district Web site to share with parents and administrators. Turtles shells are an important part of their body. How does the shell help a turtle to survive? Answer: The turtle's shell is made of fused bone which provides a hard, tough protective shield that completely surrounds the turtle. Describe a turtle that you have observed in your area. Describe its color, shape, design, habitat. Compare the shell of aquatic and terrestrial turtles. 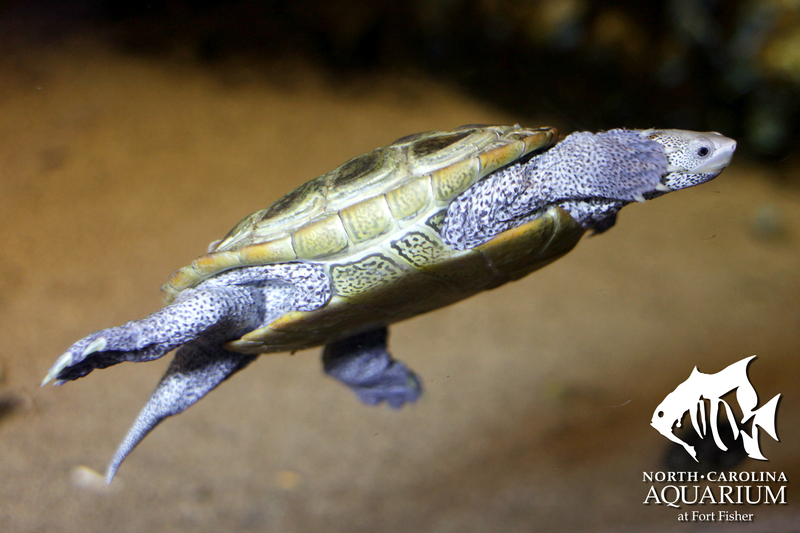 Answer: The shells of aquatic turtles tend to be flatter and smoother, thus streamlining their bodies for more efficient swimming. The land turtles do not need to worry about being streamlined, their shells are larger and more of a dome which allows their larger bodies to retreat inside the shells to hide. What is an ectotherm? List at least two other animals that are ectotherms. Answer: An ectotherm is an animal that can not regulate its own internal body temperature and must manipulate its habitat in order to either warm up or cool down its body. Besides turtles, other ectotherms include snakes, lizards, and crocodiles. Describe how a turtle eats. Answer: The turtle has a very strong beak, and no teeth. They are able to break through hard shells of other small animals and they use their beaks to eat their food. How are humans encroaching on the turtles' natural ecosystems? Answer: Humans leave litter which harms the turtles' habitats and can harm them if the turtles try to eat plastics and other debris. Humans also destroy natural habitats with construction and development. What specific characteristics of the turtle in the video help it to survive? Answer: It is a marine turtle so its wide flat flippers and low streamlined shell help it to glide smoothly and quickly through the water. We know that turtles, like other reptiles, need to breath air. Yet, many turtles can stay underwater for long periods of time. How is this different from humans? Answer: Clearly, the lung capacity of an aquatic turtle is much greater, allowing them to spend greater periods of time underwater. Many of the sea turtles are classified as 'threatened'. What could your class do to raise awareness of the challenges sea turtles face and why it is important we help? Choose one type of sea turtle that you would like to observe in nature. Why did you choose this turtle? Describe it. Choose two turtle species and list three differences between them. What are some of the biggest threats sea turtles face? Answer: Hatchlings must travel towards the water in open beach where a number of predators are waiting to prey upon the baby turtles. Also, if the nest is in area of development, the baby can be disoriented by bright lights and head in the wrong direction and to a certain death. Older sea turtles face additional threats. What can you do to help educate other beach visitors about the loggerhead turtles? How could you convince them to stay away from the nests, as fascinating as they are? Which physical attribute most likely contributes to the long ranging survival over time of the turtle? 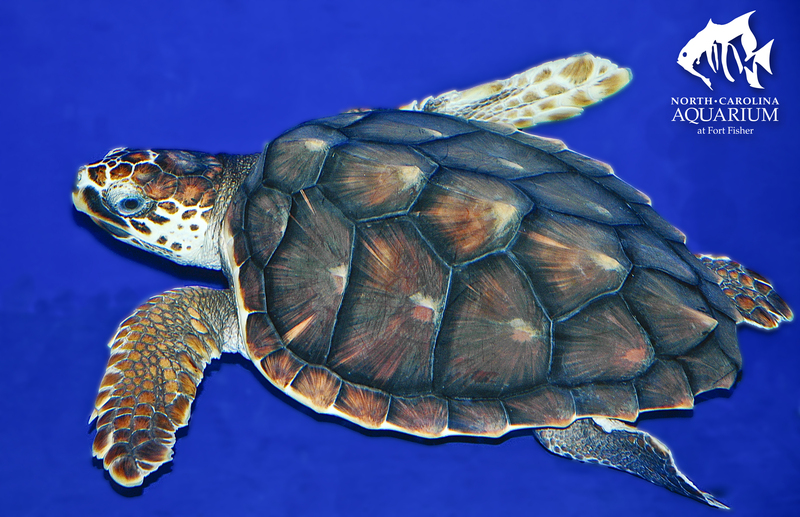 What is an adaptation sea turtles have for their aquatic environment? Answer: D. on land, rarely entering the water. There are approximately how many species of turtles?